Ceiling-mounted 4-way cassettes measuring 33x33 inch (84x84 cm) are offered with standard decorative panels. Compacted, thing and lightweight, they are easy to install even in tight spaces. Air filter (polypropylene) included. Anti-bacterial filter available. Optional fresh air kit available. Four air volume settings including Ultra Hi for higher ceilings. 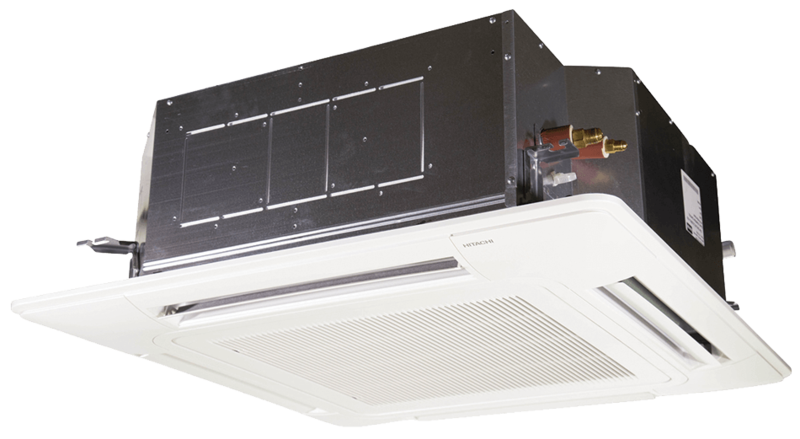 4-way airflow standard but can be configured for 2-way or 3-way. Integrated condensate pumps included in all units. Motorized 2-, 3-, or 4- channel air flow louvers with louver kit.